A STRIKE could be on the cards by teachers in Dumfries and Galloway. 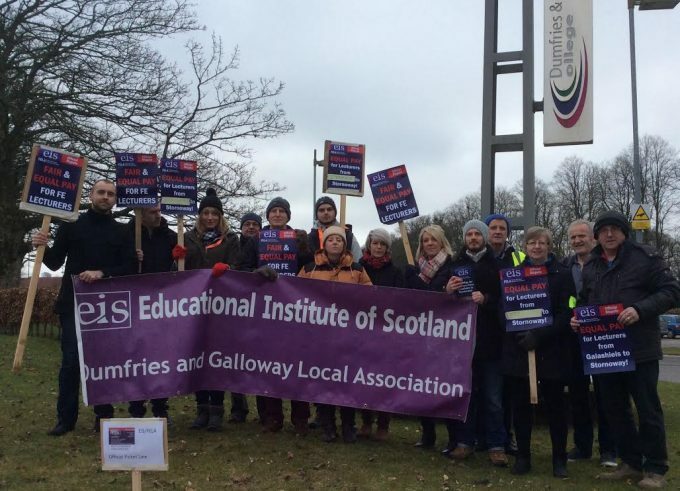 The region’s members of the Educational Institute of Scotland (EIS) national council, along with colleagues from across Scotland, have given their approval to open a statutory strike ballot over pay, following a number of derisory pay offers over the course of the current pay campaign, which started in January last year. Formal notice of the planned ballot went out to local authorities across the country last week, with strike action expected in the spring. Teacher recruitment and work related stress are major issues in Dumfries and Galloway, say EIS. There are three regional representatives to EIS Council, which is the Institute’ final decision-making body. Formal notice of the planned ballot was issued last week, with ballot papers to be issued later this month. Teachers have just rejected another unacceptable offer from COSLA and the Scottish Government, submitted on January 7. It was the latest in a long line of offers that fail to meet teachers’ expectations, following a decade of real-terms loss of earnings for teachers. The EIS is seeking a ten per cent pay rise in one year to address pay stagnation, which it has been campaigning for since January 2018. Over the next few weeks here will be a series of EIS meetings in Annan, Castle Douglas, Newton Stewart and Stranraer in the run up to the ballot, with strike action expected early in the spring.